Nobody Beats Paper Masters at Customer Service! 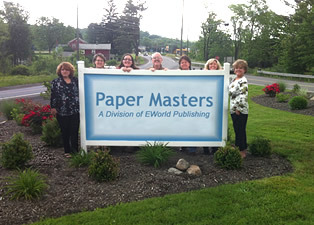 Paper Masters believes in providing the best customer service experience of any company on the internet. Our family owned and operated business makes serving your needs our responsibility. If our customers succeed, we succeed - Its as simple as that! How do we make YOU #1? We promise to provide the best customer service experience you will receive from ANY company on the Internet. Because your education is important, we know you want a company that will treat your concerns with respect. Problem with your research paper? E-mail us with your name, date you received the project and a complete description of what is wrong with the project. Be detailed! Telephone us and let us know you sent an e-mail. If a rewrite or revision is needed, you will receive this within 24 hours* of sending an e-mail to us. *All attempts are made to submit a revision within 24 hours; however, depending upon the length of the project, we cannot guarantee this time-frame. Paper Masters provides top quality customer service on every research paper sold.